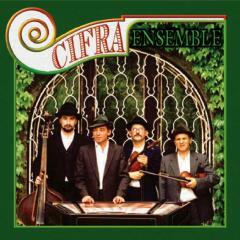 Cifra Ensemble plays authentic Hungarian and Romanian folk-music on its instrumental album. The group consists of village musicians from Transylvania and dance-hall musicians from Budapest. Since 1990 they have been making music in the street in Switzerland. They played traditional folk music at first, but meanwhile their repertoire increased with Hungarian gipsy music, operetta extracts, waltzes, tangos and evergreens. The group regularly plays in the scope of irregular singing lessons, at old people’s home, on the opening of several exhibitions, on birthday parties, etc. They gave concerts at theatre, church and lunatic asylum.